* Joel Yelland was so inspired by the idea of a Contemplative Service, that he and Diane Hill-Dwyer started what has become a beloved tradition here at OUUF. * Dianne Whitaker met Bridget Laflin over lunch at GA. Dianne invited Bridget to speak at OUUF, and Bridget became one of our cornerstone speakers. * Bob Nuffer and Vivian Mulligan were so inspired by Rev. Allison Miller’s Sunday Sermon entitled “Re-Storying Hope,” that they created and led successful workshops on “Reframing Your Story” at OUUF. * Our attendees at the 2015 GA were taken by the beautiful Sunday Service hymn, “When Our Heart is in a Holy Place.” It wasn’t well known at OUUF at the time, but has become a favorite. 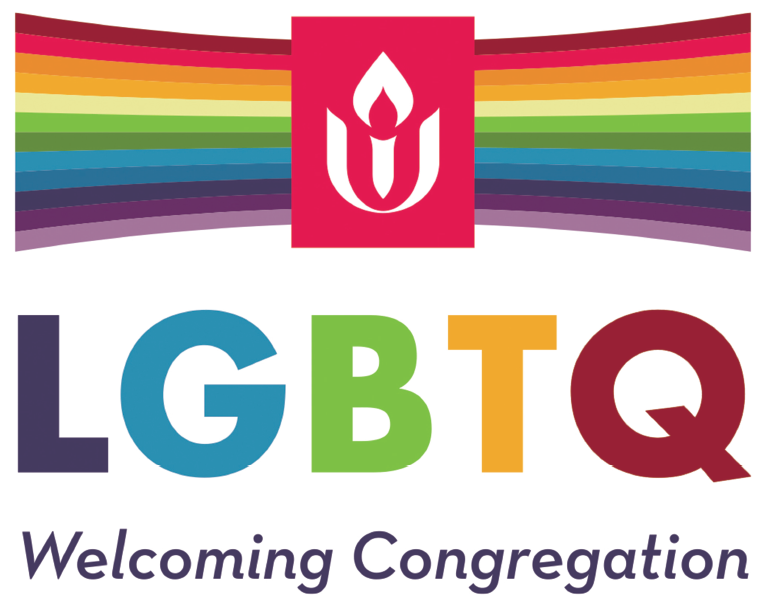 * The Welcoming Ceremony Banner Parade at least indirectly inspired Gayla Nuffer to create OUUF’s own banner, which now hangs in the front of our sanctuary and which was televised at the 2016 General Assembly, even though we were unable to attend that year. The UUA and the Pacific Northwest District have multiple possibilities for advertising this year’s GA.